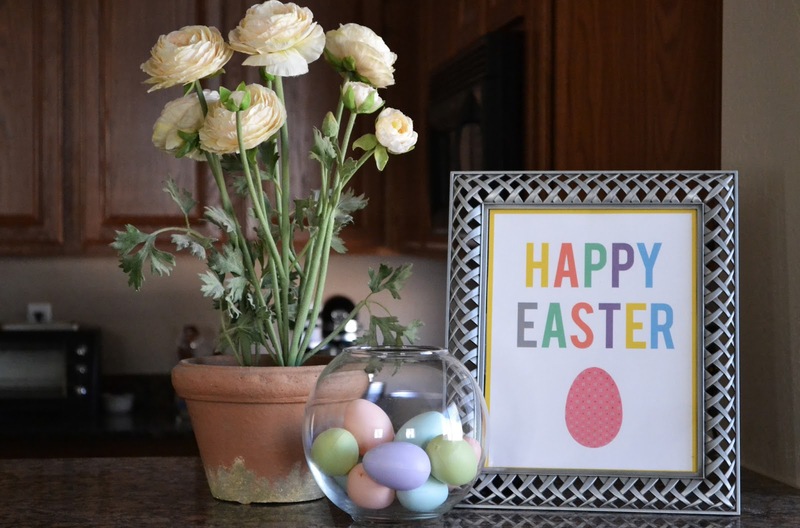 Mom, the Intern: Free Easter printable! I know what you're thinking. "Oh, Jenna! Another printable! You're the best!" Anyway ... did you know Easter is on the last day of March this year? So that means if you get this printed in the next week you'll get a whole month out of your fancy new printable. Here's a picture of mine. Fun and springy. Yours will look better because after I printed and framed mine, I realized I didn't give it a big enough border. But I fixed it before I created the PDF for you to download, so yours will have a sweet white border around the yellow ... border. These be technical terms, y'all. The words and egg will be smaller but I think it will look better. Click here and download it now! Just cut on the thin gray line. And while you're at it, check out my Resurrection Eggs family activity kit. My family always looks forward to this little lesson about Jesus' death and resurrection. It's fun and educational. Win-win. i am eggstra eggcited about this printable. :) super cute!